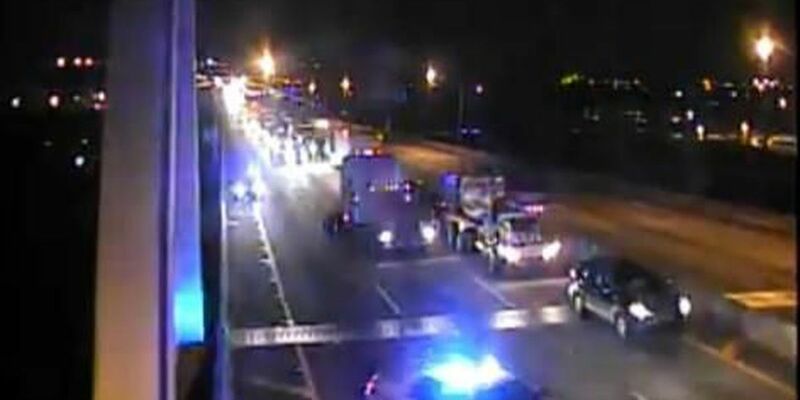 NORTH CHARLESTON (WCSC) - Police say one person was transported to the hospital following an accident on I-526 eastbound near the Don Holt Bridge early Friday morning. According to the North Charleston Police Department, the accident involved a vehicle that flipped after it rear ended an 18-wheeler. Authorities say the 18-wheeler did not stop. The driver of the vehicle that flipped was transported to an area hospital. Officials with the SC Department of Transportation, say the accident occurred one mile east of Exit 20 (Virginia Avenue) on I-526, resulting in the closure of two lanes.